The Lumenier universal mini LED distribution board is a component of the Lumenier LED Lighting system, the universal mini LED distribution board will conveniently mount on the most common flight controller mounting hole patterns of 30.5mm x 30.5mm. 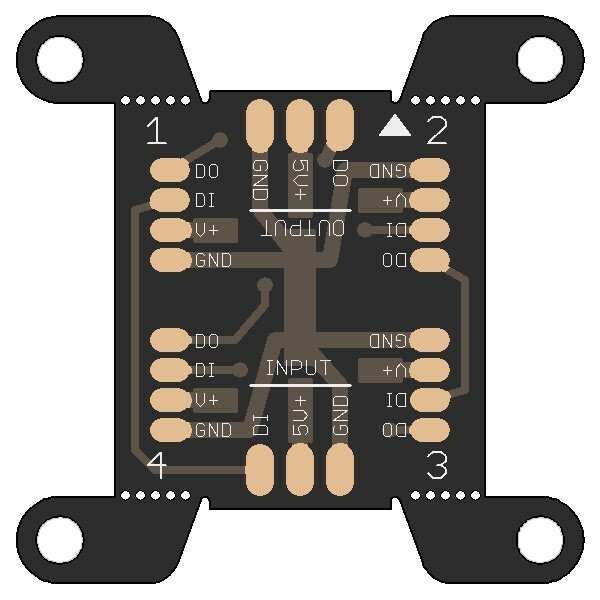 It distributes a 5v power feed along with the needed signals to the Lumenier Digital RGB Arm LED Board (sold separately). The LED Distribution Board has 1 INPUT (Ground, 5V, Signal) and 4 Arm LED pads (Ground, 5V, Signal In, Signal Out). 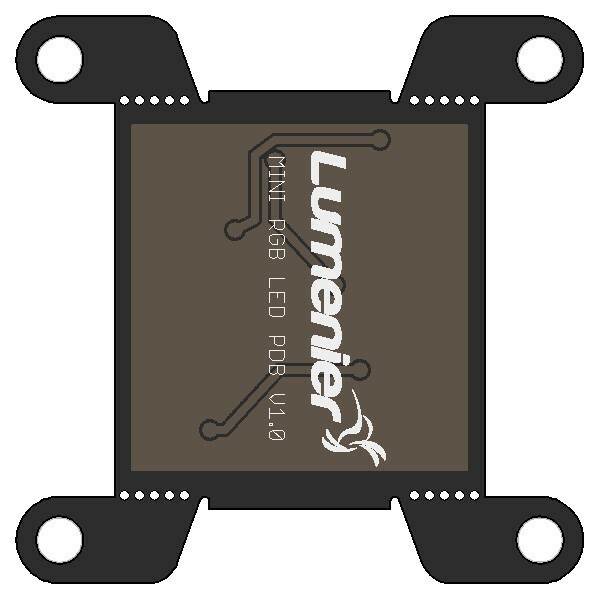 The Lumenier universal mini LED distribution board also provides one additional set of pads as an OUTPUT to add additional LED boards (any RGB LED board that is running on 5V and uses the typical RGB LED signal). This board features removeable mounting holes on the corners. You can choose use the mounting holes, or simply break off each ear to make the board smaller and mount it with tape. We recommend that you cover the solder pads with insulation such as electrical tape or liquid electrical tape.